Further information regarding the interference to the Brisbane 147.000 2m repeater, Monday December 8th, a representative from the Brisbane ACMA office paid a visit to an address where an offending device was located, upon his arrival, he tuned in to the affected frequency and was greeted by a strong wideband carrier, radiated by the interfering device. 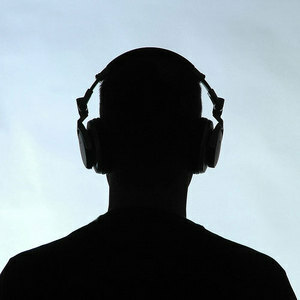 The ACMA's investigations revealed that the device was a pair of wireless headphones, with a mic back-channel, designed to be used with a PC online. The headphones, an Omni model WEP-910D, use the 2m frequency as the audio feed to deliver audio to the headphones, which explains my hearing endless hours of what was from their PC soundcard, be it gaming, or streamed audio from internet sources. There has been several other examples of the Omni WEP-910D headphones found by the ACMA, and they are a device that has been freely sold in Australia via mainly online shopping sites and EBay, the ACMA representative said that they now have another one of these things, and have growing amounts of "ammunition" to approach the importer/distributors selling them. One retailer has allegedly sold many of these units. When asked to identify the RF frequency used to determine if there would be interference from 920 MHz cordless phones or wireless access points, the advice from the retailer was that they had not been aware of any issues of interference to these units and had sold a significant numbers of the devices. The owners of the wireless headphones, who had suspected that they were not the only "users" of the frequency, had surrendered the unit to the ACMA, when they were advised that the unit was not legal to use in Australia. Thanks were given to the ACMA for dealing with the interference problem, and ensuring that the radio regulations are being enforced. The ACMA representative involved expressed his appreciation for the work that had been done by the Amateurs to correctly identify and locate the source of the interference. As amateurs we should always make sure we do our best to assist the resolution of interference to Amateur radio from non-compliant equipment. There may be more of these units in use, so be sure to keep an ear out for them, they seem to operate on 147.000 MHz +- about 15kHz, so users listening to repeaters on 147.000 MHz are more likely to be affected by one of these units.